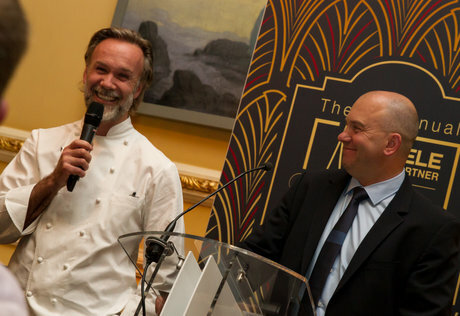 On Monday 8 th May, we were thrilled to host our 3rd annual Studio Partner Awards! 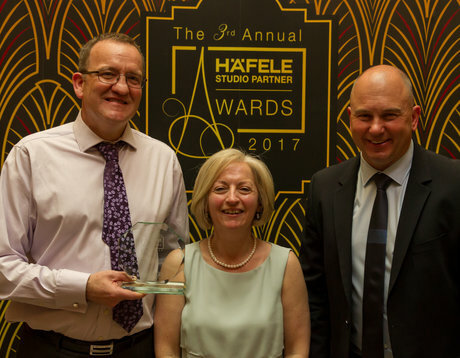 It was a fine night of celebration and recognition, rewarding the many achievements of our Studio Partner programme over the last 12 months. 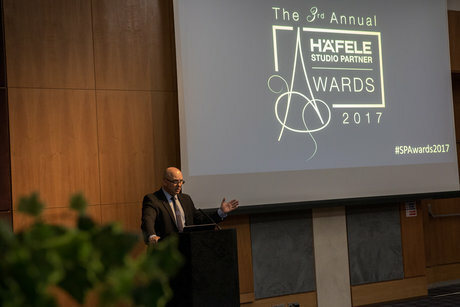 The event was attended by many of our Studio Partners, esteemed press guests and our fantastic sponsors, Smeg and Grohe. 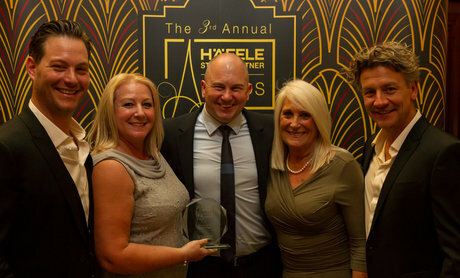 Craig Chambers, Managing Director of Hafele UK, opened the night with a welcome presentation - thanking guests for coming along and announcing the highly anticipated partnership between Hafele and Grohe. 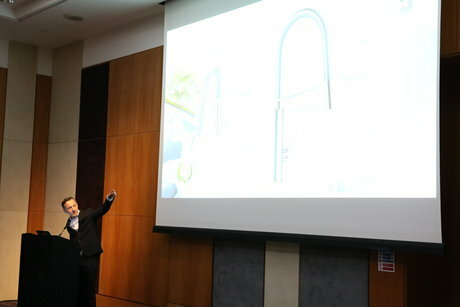 Paul Flowers, Chief Design Officer for LIXIL, then delivered a superb presentation on Grohe’s approach to design and innovation. 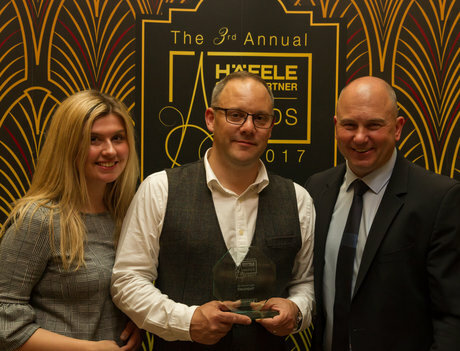 This really helped our customers to get a flavour of what Grohe are all about – quality, precision and making the kitchen about the ‘we’! 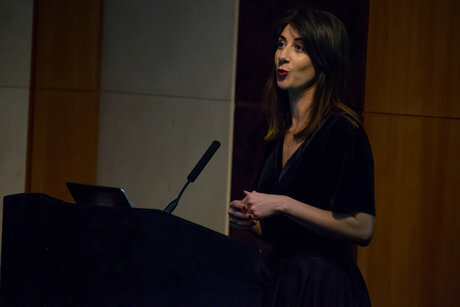 We were also lucky to be joined by Global social media platform, Houzz, who delivered a fascinating presentation on how Studio Partners can make the most of their social network, and some brilliant insights into how important the online world is for their customer’s buying journey. 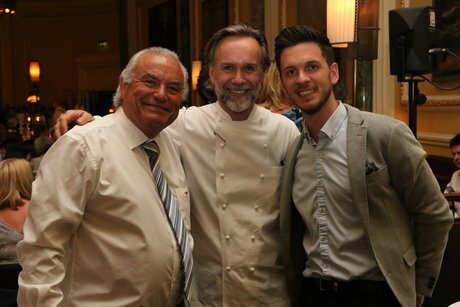 The second half of the evening was held in Marcus Wareing’s Michelin-starred restaurant, The Gilbert Scott, located at the renowned St Pancras Renaissance Hotel. We were fortunate to have Marcus join us to present the awards throughout the ceremony to all our worthy winners. 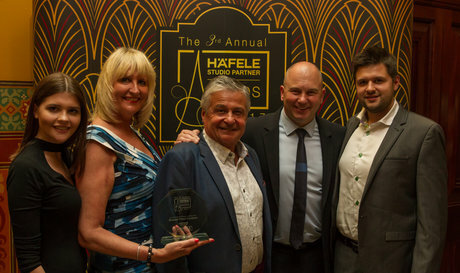 The Awards provided the perfect opportunity to say thank you to our dedicated and talented Studio Partner network. Alongside receiving the trophy, this year we award all the winners with an all-inclusive trip to Dubai! Just as the cherry on the cake, we were absolutely thrilled to raise just under £750 for our 2017 house charity, When You Wish Upon A Star. For more photos of the event, please visit our Facebook Page. 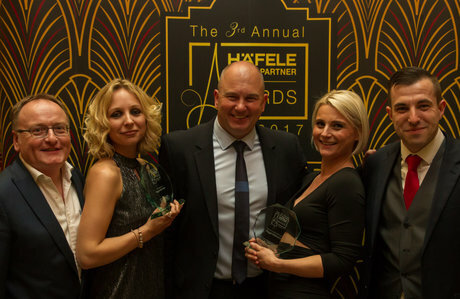 Thank you to: Rangemaster, DJH Group, Sheridans, Sylmar, Hailo, Smeg, Vauth Sagel, The Pullman Hotel & The Gilbert Scott Restaurant for their kind contributions to our raffle.